Oahu is packed with great affordable vacation rentals & Bed and Breakfasts! This is probly the best lodging option for those seeking Quality Value when visiting Oahu. Many of the accommodations are locally owned and operated B&B's and Vacation Rentals, offering cottages, room rentals or homes located in residential Oahu. The beauty of these types of accommodations is that you get the best of both worlds. 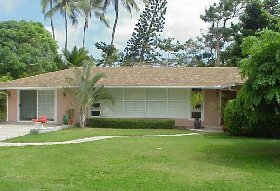 Meaning that you're able to take a short drive and enjoy Waikiki and Honolulu, but you also get away from the hustle and bustle and are able to relax in the quiet peaceful residential neighborhoods of Oahu. Ther are too many better things to spend your money on while visiting Oahu, Don't get taken to the cleaners when it come to a place to stay! Here are some examples of the many listings that are in the Oahu Travel Guide. 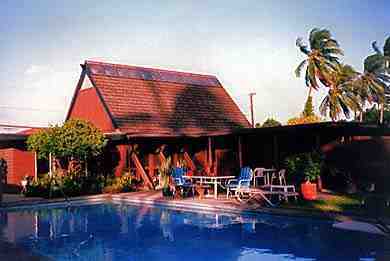 Nora Duck Inn located on the Windward side of Oahu in Kailua. Rates: $65 per night per night NOT PER PERSON!!! Kailua Tradewinds also located on the windward side of Oahu. Rates: $75-85 per night NOT PER PERSON!!! 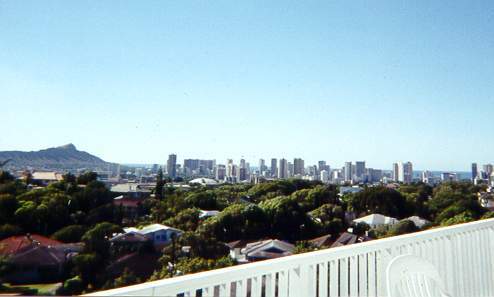 Manoa Bed & Breakfast located in Honolulu with a spectacular view of the city. Rates: $75 per night NOT PER PERSON!! !